"Although divorce is very difficult, I was very fortunate to have had Tricia Webb as my advocate. She is professional and personable and was there for me to handle the business portion of my divorce. I would recommend Tricia to anyone going through this." "Your candid advice, calm support and professionalism were greatly appreciated during my divorce process. After our first counsel you truly set my mind at ease. I am so fortunate to have been in such good hands." “Tricia is about the most tenacious litigator I have had the pleasure of working with”, lauds Managing Attorney Colin Amos. “Her significant criminal defense background and litigation experience gives clients comfort when settlement discussions fail. She is what we would call a 'bulldog' for her clients. Men especially like the fact she is a very strong advocate in custody and spousal support cases.” Her very effective philosophy of preparing every case as if it were going to trial leads to better outcomes in settlement for her clients. 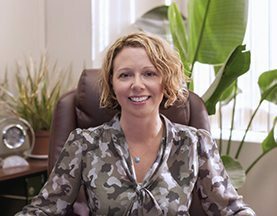 A passionate advocate, Webb is equally adept at fighting for the rights of her clients in the courtroom and in mediation. She will continue to put her skills and more than 14 years of experience to work for the husbands and fathers of Portland and the nearby areas. In her nearly non-existent free time, Tricia enjoys Portland nightlife, music, swimming, microbrews, books, dogs and candy.